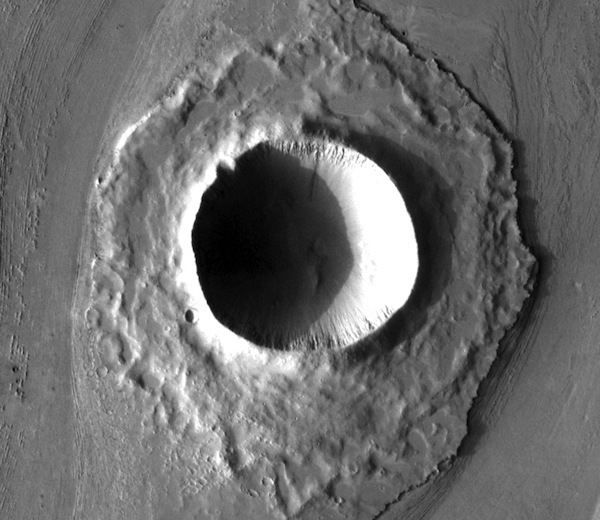 In fact, impact craters are the most common landforms in the entire solar system. They are abundant on the solid surfaces of just about every planet, moon, and asteroid in the Sun's family. The exceptions are bodies that experience rapid erosion (Earth, for example) or frequent geological or volcanic activity (examples include Jupiter's moons Io and Europa, Saturn's moon Titan, and Venus). Impact craters form in a range of sizes from microscopic to giant basins thousands of kilometers (miles) across. However, for simplicity, scientists sort craters into four basic categories: simple craters, complex craters, peak-ring craters, and multi-ring basins. 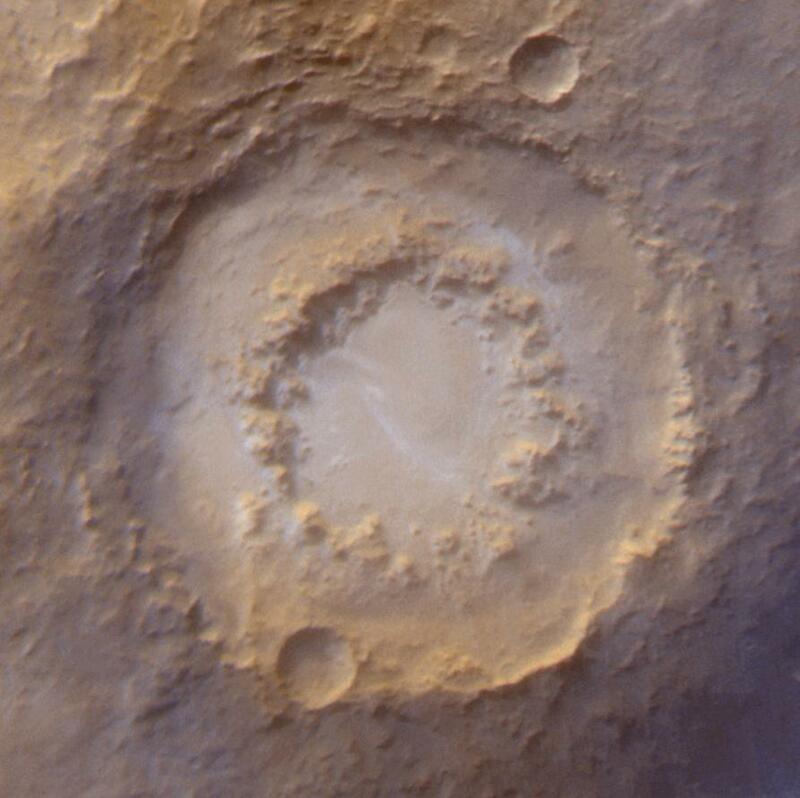 All impact craters share certain recognizable similarities and features. But as you might guess, details of their features differ and that can give geologists clues about the specifics of each impact and the conditions at the time of impact and afterward. But first a small detour. Not all round holes in the ground are impact craters. Volcanoes make features that partly resemble impact craters, but are formed in a totally different way. Explore the Volcanoes entry for more details, but for now use this rule of thumb: If a crater in question is large and sits at the highest point of a volcano, it's probably a volcanic caldera, not an impact crater. Calderas form when lava inside a volcano recedes and the volcano summit collapses. 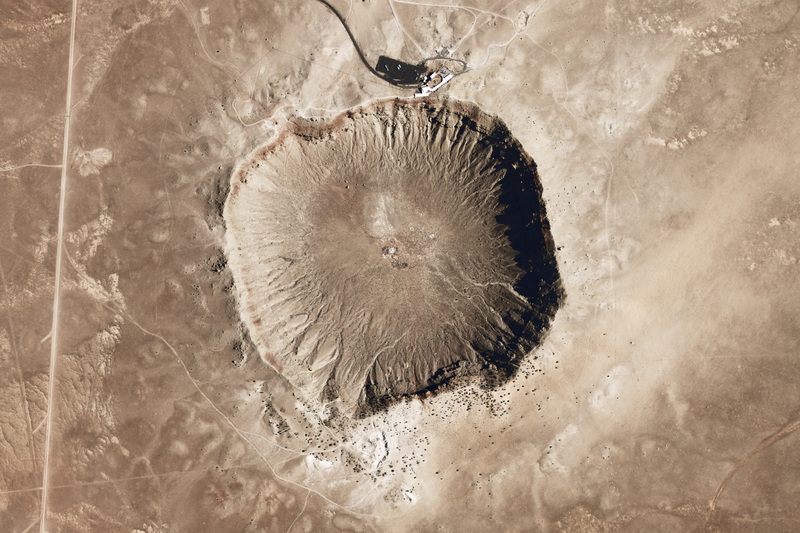 So what is an impact crater? How does nature make them on Mars?